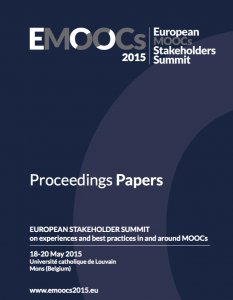 Paper presented at the European Stakeholders summit on experiences and best practices in and around MOOCs in Mons, Belgium (18-20 May 2015). can supply valuable insights to improve MOOC design and align expectations. The paper reports three short studies conducted to gain insights into disengagement from assessment, based on the data gathered in the first five DelftX MOOCs. The empirical part of the paper demonstrates that retention rates in relation to formal assessment vary from course to course. In the analysed case, fewer learners disengaged from the formal assessment in the course with highest degree of student autonomy, high learning support and scaffolds. Consistently across courses, learners who received lower grades on the first assessment task, tend to disengage from further assessment.